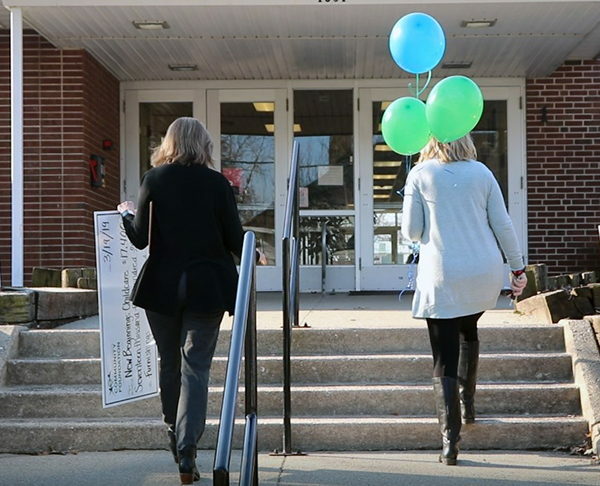 It was a day of celebration for several of our local nonprofit agencies as Cheryl Keim, Grants Coordinator, and Kelly Taylor, Executive Director, made surprise visits delivering grant awards! Eight awards, totaling $133,642, were made in this first round of grants for 2019. From improvements to town parks to furnishings for a childcare facility, the grants supported a wide range of needs in our community. We are truly grateful for our donors who make it all possible. For a complete list of grant awards, and the funds that supported them, please click here. There are two more grant cycles scheduled this year with due dates of July 15 and October 7. Grant guidelines and eligibility criteria can be found on the How to Apply page under Grants.